I'm trying to open the default file properties dialog but unable to get it working property for files in different directories. I need to obtain IContextMenu* interface pointer for files in different directories (or even drives). I expect to see "Various folders" in the properties dialog. Also I tried this, but it also not working at all. Also I tried to use desktop IShellFolder as parent of my PIDLs, but it also not working. The address of an array of pointers to ITEMIDLIST structures, each of which uniquely identifies a file object or subfolder relative to the parent folder. Each item identifier list must contain exactly one SHITEMID structure followed by a terminating zero. You are converting the 2 absolute PIDLs into relative PIDLs of their respective folders, but then you are using the IShellFolder of the Windows\System32 folder to retrieve the IContextMenu for both files. That will not work for the relative PIDL belonging to the Windows\ folder, since the IShellFolder of the Windows\System32 folder only knows about files in the Windows\System32 folder. Various online examples show the IContextMenu being queried from the IShellFolder of the desktop when multiple files are involved. 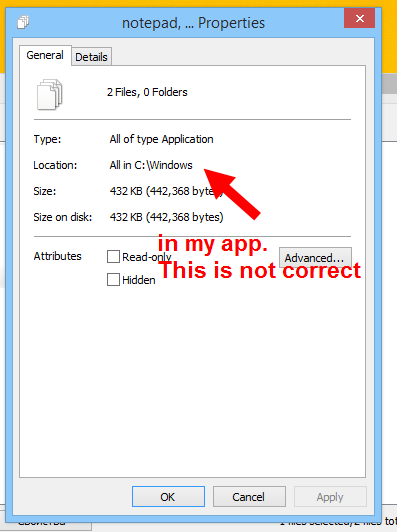 That approach only works when the files are in the same parent folder (such as demonstrated in Raymond Chen's example). Things get more complicated when the files are in different folders. You also have a few memory leaks in your code. Displays a merged property sheet for a set of files. Property values common to all the files are shown while those that differ display the string (multiple values). Not the answer you're looking for? Browse other questions tagged c++ winapi com or ask your own question. 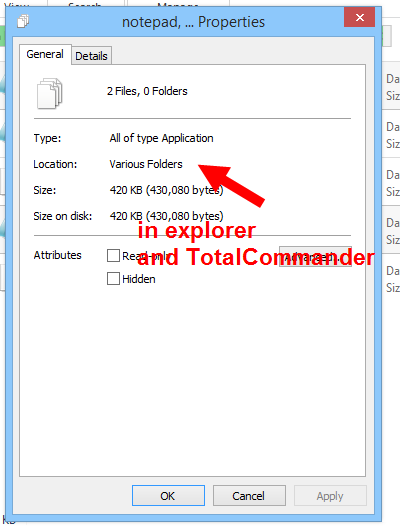 How to display system context menu for multiple files in different folders?